Back in October 2010, an Alaska judge found 18-year-old Shawn Christy stalked 2008 GOP vice presidential candidate, Sarah Palin. The judge further ordered Christy to not follow or otherwise stalk the politician and to have no communication with her or her family. You can read an article about the restraining order issued against Christy here. In a frightening turn of events, Christy, who is now 19, was reportedly arrested and held by the FBI in Anchorage, only 50 miles from Palin’s home in Wasilla. 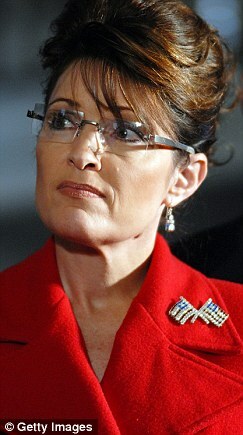 Palin received nationwide ridicule recently following the attempted assassination of Congresswoman Gabrielle Giffords in Arizona. In fairness to Palin, it would appear that she may well have her own “lone gunman” to worry about, and Christy’s behavior ought to be no more acceptable because his target may be Palin. While Christy reportedly told authorities that he traveled to Alaska in an attempt to get the restraining order against him dismissed, he is a resident of far away Pennsylvania. In my experience, for someone to turn up so near to a protected person’s home – when that location is so far away from the stalker’s own residence – is highly suspect. Palin’s family has reported that they are distressed by the events, and I think they have every right to be in this current political climate. Palin would do wonders for this climate if she were to use her considerable public platform to speak out against such anti-social and criminal behavior. This entry was posted in Politicians and tagged arrest, Federal Bureau of Investigation, Sarah Palin, stalker. Bookmark the permalink.